Another large group of mortgage holders have been charged too little, with the lender just the latest to mess up repayments on home loans. The errors relate to fixed-rate mortgages and came to light when the bank was reviewing its tracker overcharging cases. Some 10,000 customers have been charged too much over a two-year period, with the average amount to be refunded coming in at €2,300. Compensation will also be paid, with amounts varying from €100 to €500. Another 8,500 customers were charged too little, but will not be asked to make higher payments to make up for the error. The bank said the mistake was due to customers being put on a different fixed rate than the ones they applied for when they took out their mortgage. This was because rates had changed by the time they drew down their mortgages. The average difference in interest rates over the affected period was 0.37pc. Ulster Bank said it was entitled to apply the most up-to-date rate, but admits it did not explain this to customers clearly at the time. The issue relates to the period between 2001 and 2008, but the overcharging lasted two years on average. It is understood there have been no complaints about the issue as no customers noticed the error. In some cases, changes in fixed rates benefited customers but in almost 10,000 cases people lost out. Deputy chief executive at Ulster Bank Paul Stanley said: "As part of a review of our mortgage book, Ulster Bank has identified an historic error that has affected our customers. Some customers have benefited, but unfortunately other customers have been negatively affected." The bank is in the process of writing to customers charged too much. "For those customers who have benefited we will not be changing anything, and they will keep the benefit. "For those customers who have been negatively affected, we are currently in the process of writing to them to apologise, explain what it means for them, and provide them with refunds and compensation," Mr Stanley said. 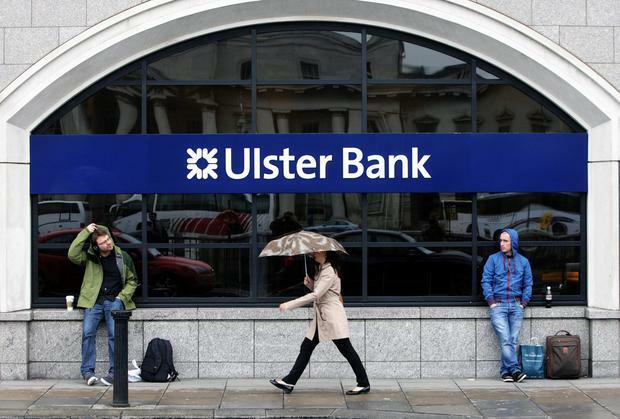 At the start of the year, Ulster Bank said it was to repay 23,000 business customers after finding it had charged them the wrong fees. Mr Stanley would not say how much the mortgage issue would cost it, but he confirmed that the bank had made provision for €167m for the overcharging of both business and mortgage customers, and a number of other more minor issues. "We sincerely apologise for the impact this has had on our customers. "Customers do not need to take any action - we will write to them if they have been negatively affected," the bank chief said. Last week, Bank of Ireland admitted overcharging 3,400 customers. The bank miscalculated the monthly capital repayment amounts due, taking too little each month. The latest revelations come as banks are still resolving the tracker scandal, which has seen 40,000 people incorrectly charged, or denied a tracker. Ulster Bank has identified 5,500 tracker cases and expects to have finished restoring these customers to tracker rates, compensating and refunding them by the end of next month.